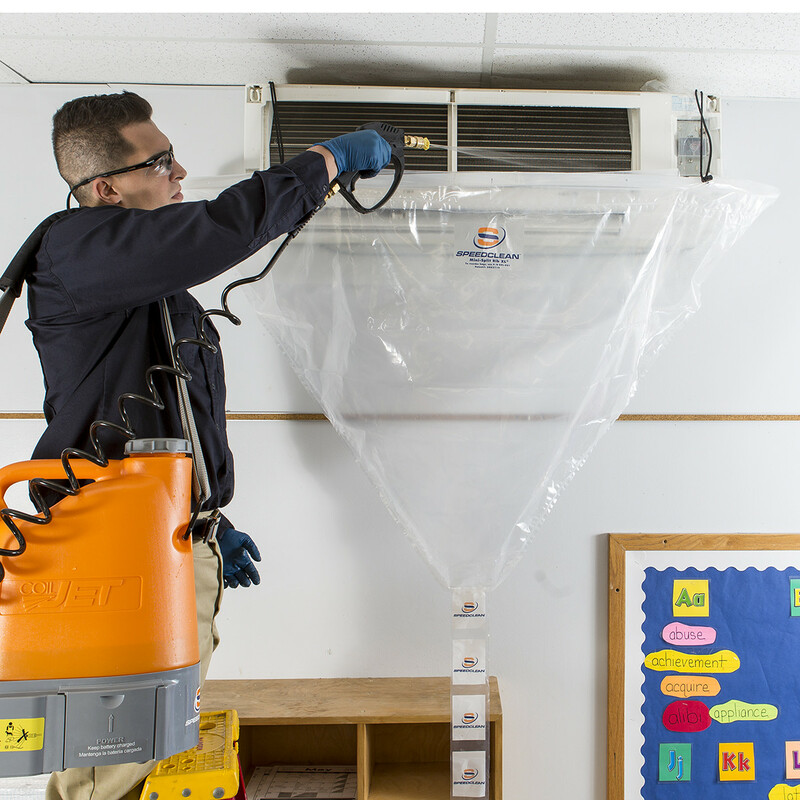 The Mini-Split Bib Kit XL is a fast way to clean larger commercial ductless mini-split coils, blower wheels and more. The patented technology fits ductless units 45″ – 60″ and keeps water away from walls and other surroundings and directs it into the 5 gallon bucket for disposal, so it’s clean and safe all around. Includes 8′ drain line for high mounts. 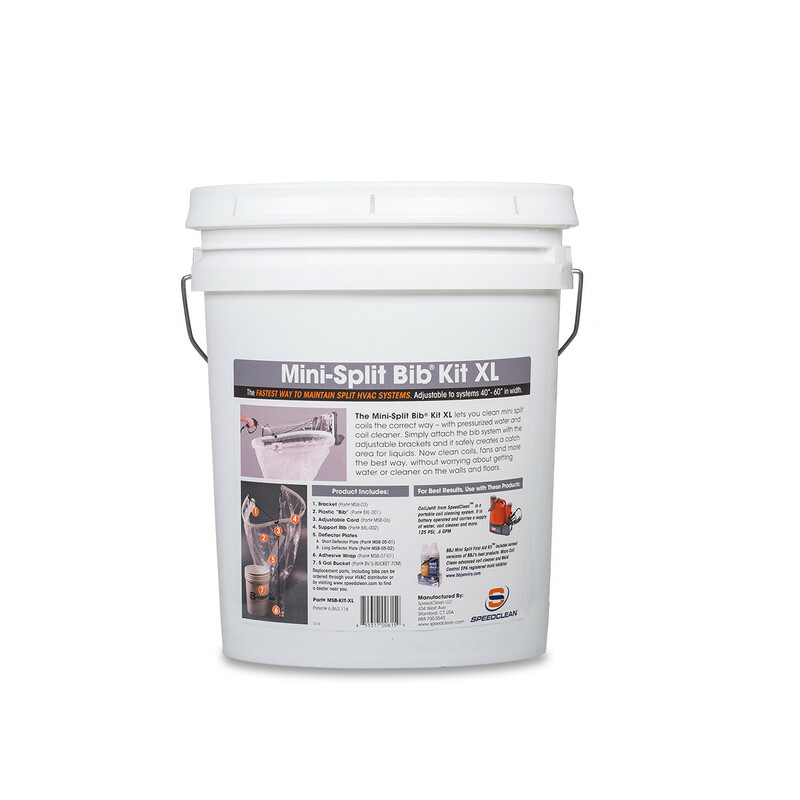 The Mini-Split Bib® Kit XL is the larger version of our popular Mini-Split Bib® Kit. This product is designed to fit larger, commercial ductless mini-split air handlers, up to 60″ in width. 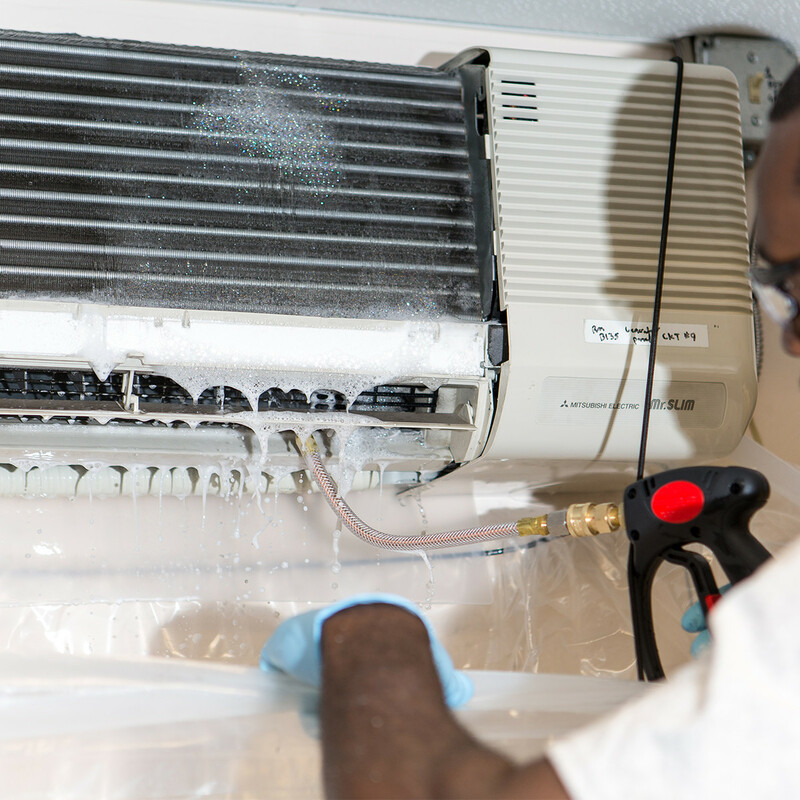 Mini-split installs are the faster-growing category in residential marketplaces, and the installation and maintenance of larger, commercial units are catching up fast. 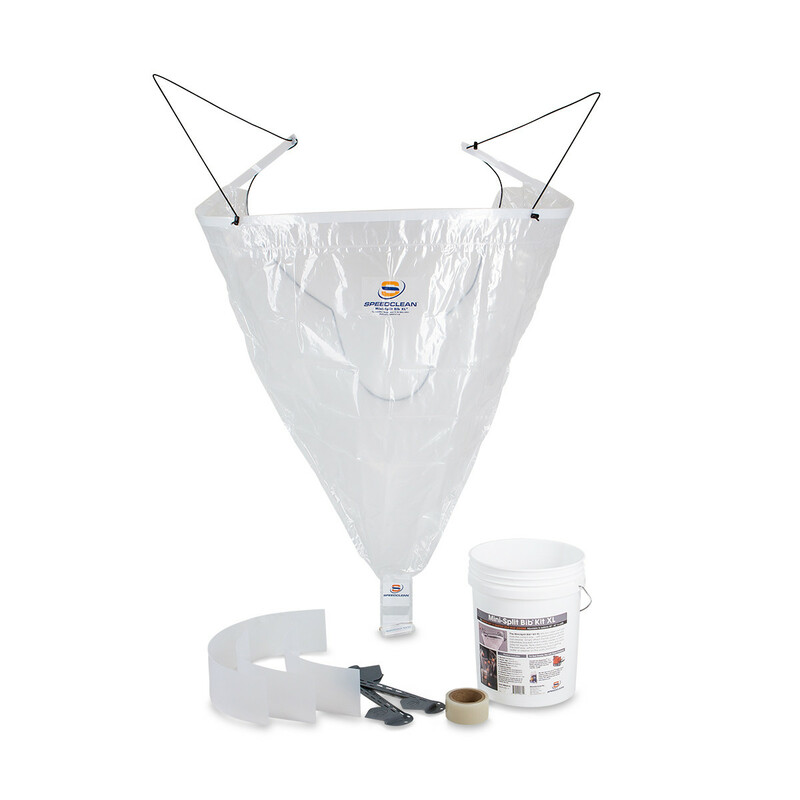 The patented Mini-Split Bib® Kit XL makes it simple to clean large units in place and saves a ton of time. It attaches quickly to mini-split systems 45″ to 60″ wide using special brackets and uses the custom designed 6mil plastic bib section to create a barrier against the wall and other surroundings. 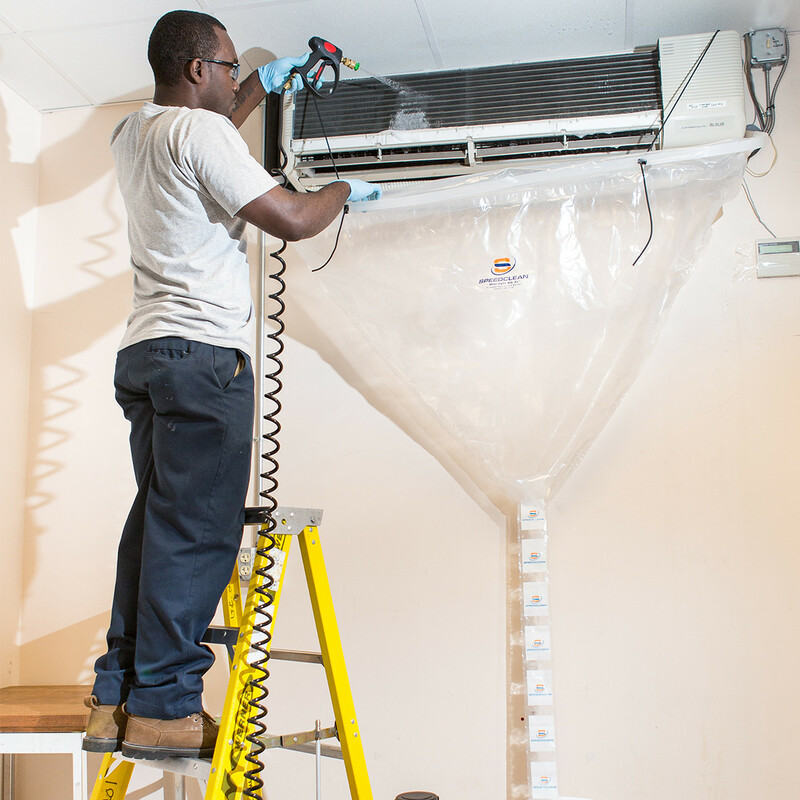 Now you can easily clean the coils, fan blades and more with pressurized cleaning systems, like pump sprayers or our CoilJet Portable Coil Cleaning System. The system is simple to use. Simply slide the brackets in behind the corners of the mini-split air handler. Attach the bib and protective wall plates and tighten. Then place the bottom of the bib funnel into the included 5-gallon bucket. All coil cleaner, water, and debris are safely funneled into the 5-gallon bucket. No mess, and no fuss. Are additional bibs available for sale? Yes, additional bibs are available for sale through your favorite distributor. Refer to the related accessories for part numbers.